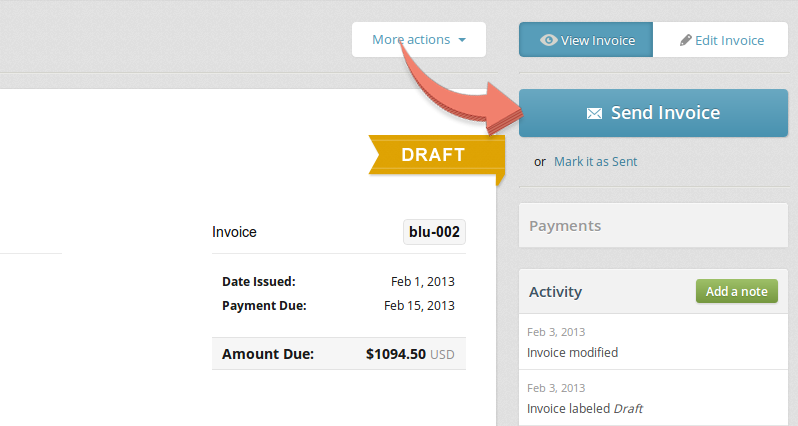 To send an invoice to your client, click Send Invoice and customise the email your client will receive. 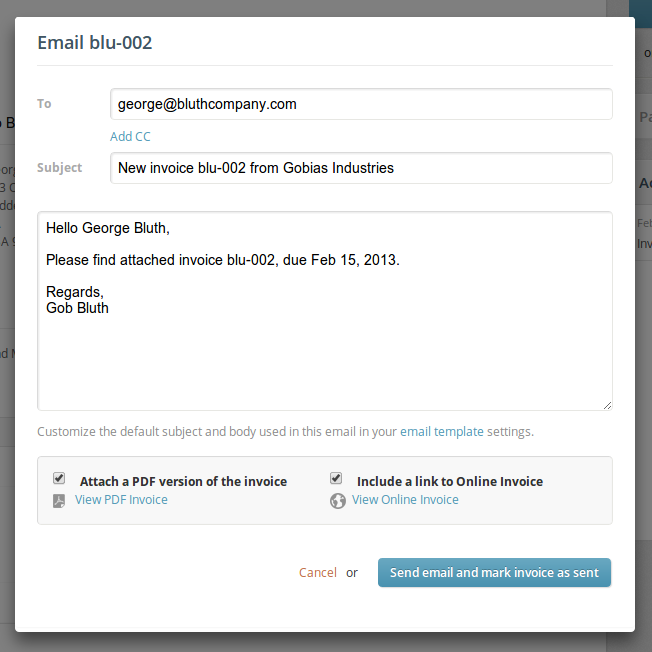 Your email will be composed automatically from your 'New Invoice' template. Customise your message, and choose whether to attach the invoice as a PDF and include a link to view (and pay) the invoice online. Your client will receive their invoice by email. 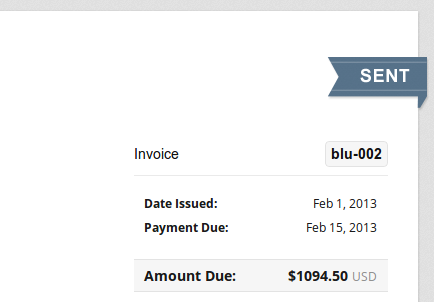 Invoice emails are also BCC'd to your billing email address for your records. A 'Sent' invoice may receive payments or fall overdue. 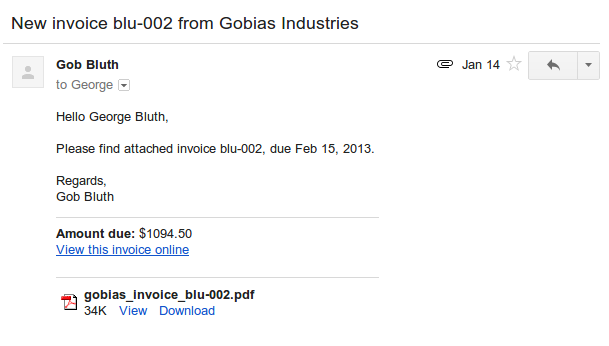 If you send an invoice outside of Payirt, but sure to mark it as sent.